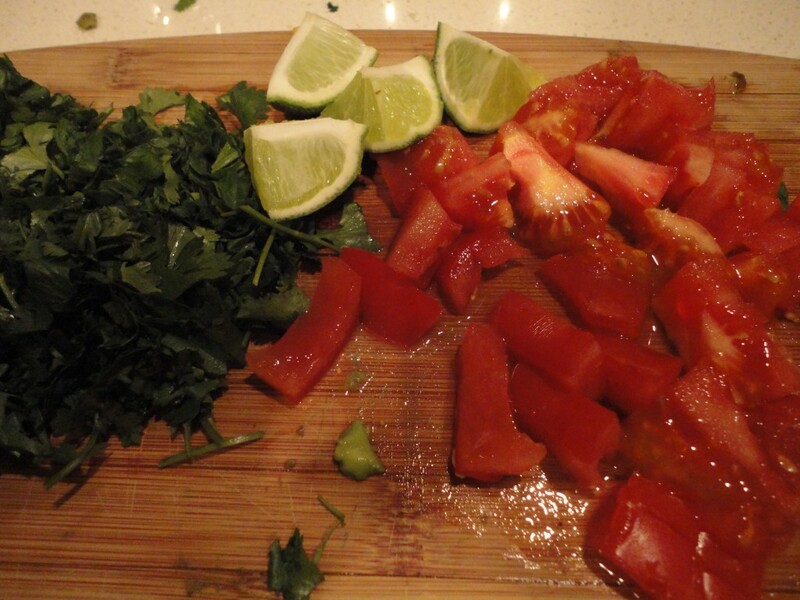 Tomatoes, avocado, cilantro, limes, tortillas….sign me up! We love to have Mexican night at our house. Last year we went to Austin on vacation to visit our friends Stuart and Tony. We had a great time and had A LOT of great food. One item stands out above all others from our trip. It was the fried avacado tacos. Yep, you read it right. 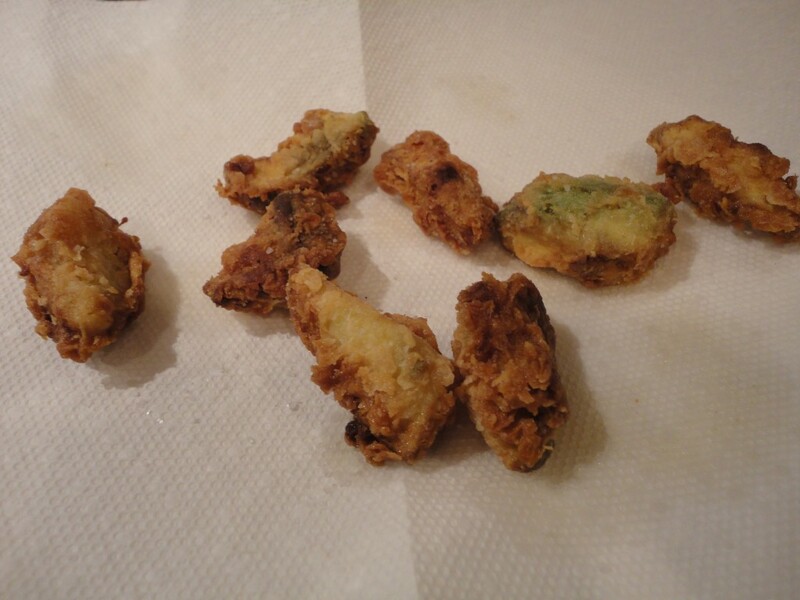 Fried Avacado. OK. So how do you get to this photo above? Slice the avocado. In a bowl mix one egg and approx 3/4 cup of milk. On a plate to the side mix 1 part all purpose flour and 1 part fine white cornmeal. Dip the avocado in the milk/egg mixture then dredge in the flour/cornmeal mixture. Fry in canola oil turning once until golden brown. Place on paper towel and sprinkle with salt. Let me tell you… it is really good. Enjoy in a taco or as a side. 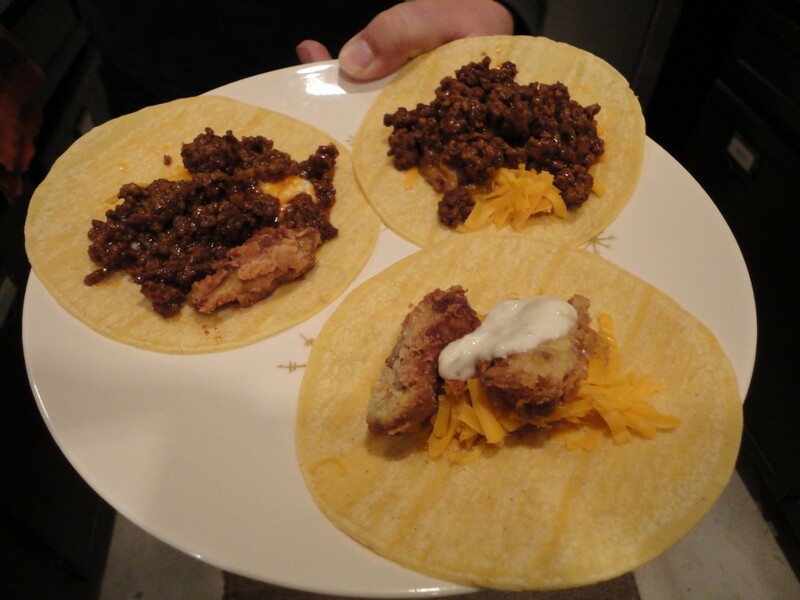 A little twist to your average Mexican Night!